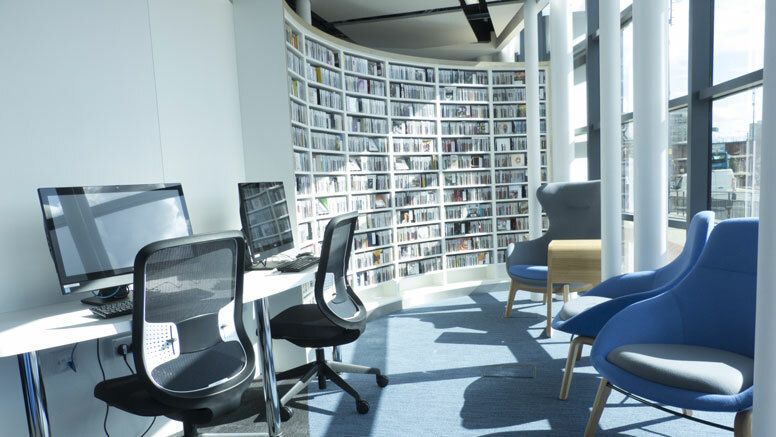 In 2017, Leeds College of Music (LCoM) completed work on its flagship Library, transforming a long unoccupied space into a purpose-designed facility which provides an exceptional learning and study environment for the conservatoire’s students and the Leeds City Region. 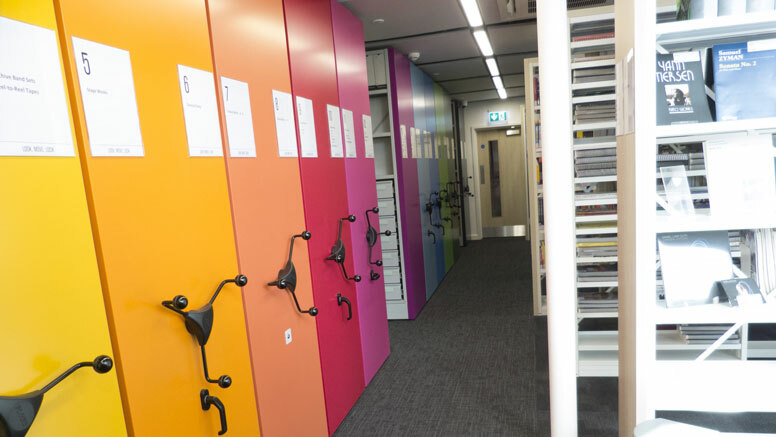 Situated in a narrow, curved building, the library provides a range of library services for music students. 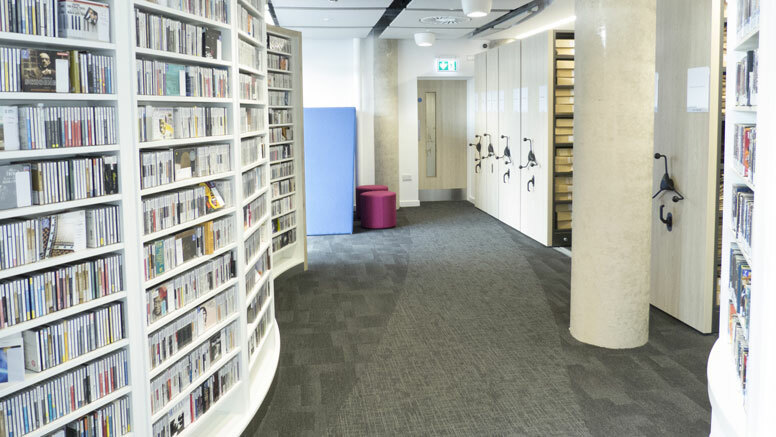 After entering through the entrance pod you turn left to access the CDs and DVDs in the ‘A-side’. Turning right into the ‘B-side’ you will find collections of books, musical scores and LPs, many of which were not visible in their previous home. 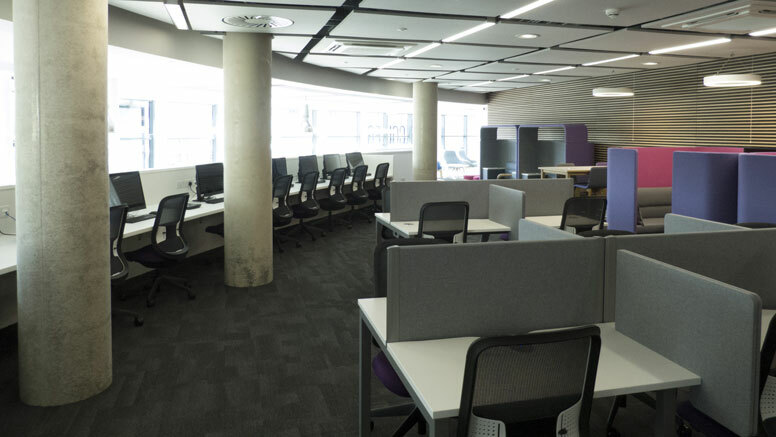 Upstairs are a range of study spaces, and small rooms for group or silent work, as well as staff accommodation. The natural light coming through the floor-to-ceiling windows makes for a bright and sunny environment. RFID has been installed, OPACs were replaced with iPad Pros, and the number of charging points installed has future-proofed the library for some time. Building wraps around two sides of the bottom of a block of flats, and was intended as a restaurant. This shape presented challenges in the design. It has a fully glazed curved front. 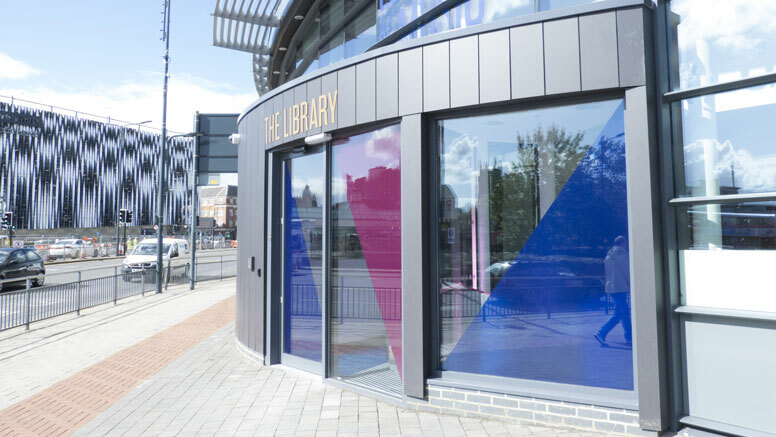 An additional project was carried out to develop the public realm outside the library. A playful grassed public square was created, with new lighting, seating and planting. Also featured are a performance space and a broadcast point for our neighbours, BBC Leeds. 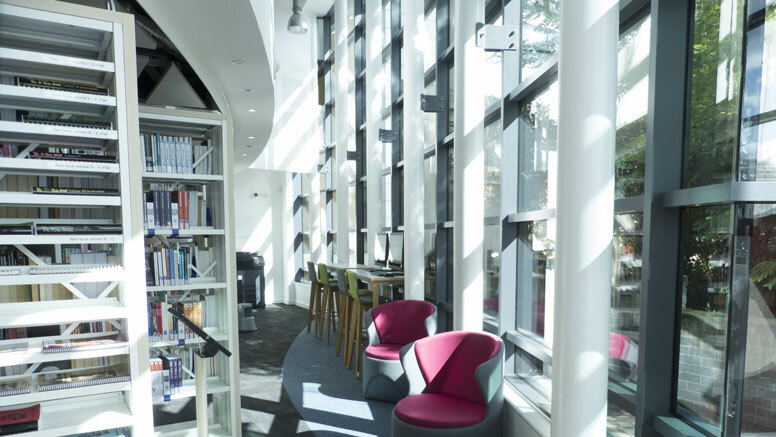 The curved shape, while challenging, provides a unique library layout. There many pillars in the structure and these have been hidden into where possible and provide features elsewhere. RFID, WiFi, charging points, 20 computer terminals.